last pic as don,t want to take up too much webspace. lol... Also my £2500 is for everything, from the welder, gas, evo saw, donor, build board, filler wire, welding helmet, metal, and every single bit ive spent money on, that i need for my car(kept it all in a spreadsheet) ok, well ill go ahed and email fabby and pay and get everything i need. 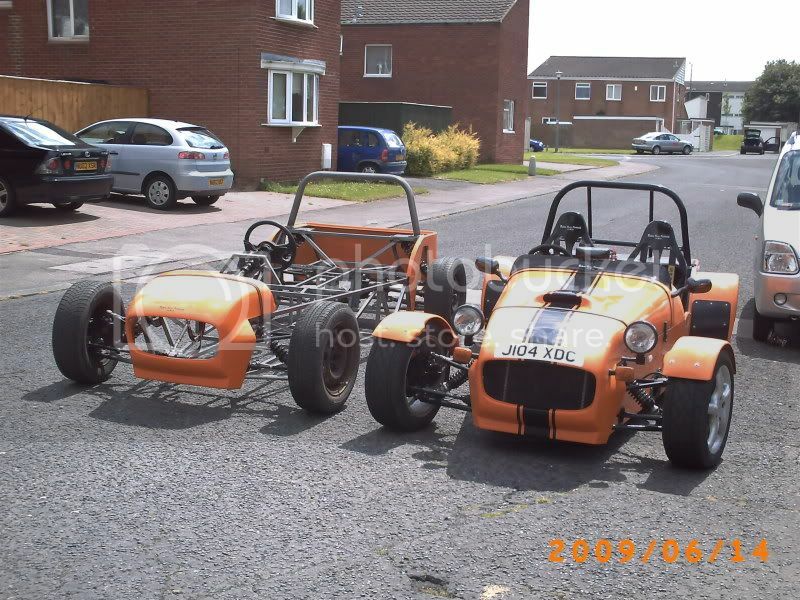 go for it, Fabby,s deal is a cracker, well worth it, the bodywork is very very good quality & so easy to fit too. ok, just payed and emailed him, fabby said it should be mid to late august which is fine as i dont really need it any sooner. ooooo, cant wait now!!!! i believe seats are part of the deal too , sadly i haven,t got seats yet so if you fancy swapping for my beer crate ???????? again well done on your build, your parents must be very proud of what you have achieved, good on ya. i mean how many lads of your age can weld & build there own car. Id like to thank you all so far for the help and advice the forum(s) have given me to this stage, i wouldnt have likely started it without the original forum being there, but the assurance given to me is invaluable. Thanks!!! Geeman.... you are a credit to the youth of today. & i,ll second your comments on the help given by lots of builders from the forum(s), without them i know my build wouldn,t be going as well as it is. I read that some info will be lost? what info?